Why do We Expose Media Plates for 4 Hours in Cleanroom Areas? This is common question that people ask me many times that why do we expose the settle plates for four hours. I wrote this article to answer this question telling all possible experiments and observations done to find the most appropriate answer. 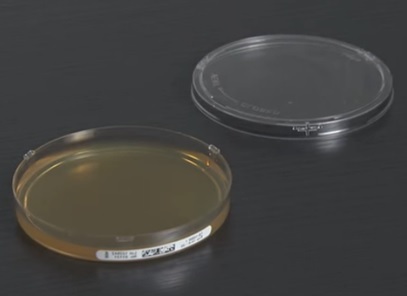 A media plate, also known as a settle plate is basically a Petri dish that contains agar medium which acts as a growth medium for microorganisms. It is commonly used in pharmaceutical companies to assess the level of microorganisms in their clean rooms in order to maintain a clean environment. The usage of media plates is a direct method of checking the air in a pharmaceutical lab for viable microorganisms. These plates are usually placed in corners of rooms, or adjacent to doors. They should also be placed in areas where critical work is being done and areas where previously sterilized materials are placed to be processed. Another important place for media plate placement is the area where people are present. Media plates are exposed in the main areas of activity and positioned such that they capture the maximum amount of particles. Large particles tend to settle faster on the plates due to gravitational force. Smaller particles, however, take some time in settling due to factors such as air currents which drive them away. Media plates work best in still air areas. The microorganisms may settle on the plate alone, or in colonies. The method of using a media plate is very simple. The plate should be checked for contamination before usage and then placed at the desired spot. After four hours, the plate should be removed, lidded again and then taken away for incubation. The process of incubation of bacteria usually takes two days while fungi and mold take up to five days. While media plates can be exposed in clean rooms for about half an hour too, most experts, including the EU guideline to good manufacturing practice, claim that the optimum time for media plate exposure is four hours. This time has been determined as the best time according to mathematical calculations of the rate of settling of organisms per the exposed hours. After four hours, the rate starts decreasing and experts say that this is the time at which a media plate works best without being ruined itself. According to studies, it has been noted that after a four hour period, the agar forms a skin layer on it which reduces the access of water to the microorganisms, thus reducing their growth and hindering the test by leading us to believe that there are much less viable microorganisms than there really are. Related: Why Petri dishes Inverted During Incubation? Also, media plates start losing their weight as soon as they are put into action. After four hours, they have undergone their maximum weight loss and should not be used for further examinations. Experiments showed that the initial weight loss is very high and then gradually becomes constant until it reaches four hours. After that, the loss of weight starts affecting the growth of microorganisms. Due to these reasons, media plates are exposed for about 30 mins to four hours and then taken for incubation to avoid misinterpretation of microorganism growth in pharmaceutical labs. The results as then calculated by the formula of CFU/time i.e colony forming unit/time taken. After testing completed can be detected microorganism but then how to avoid?